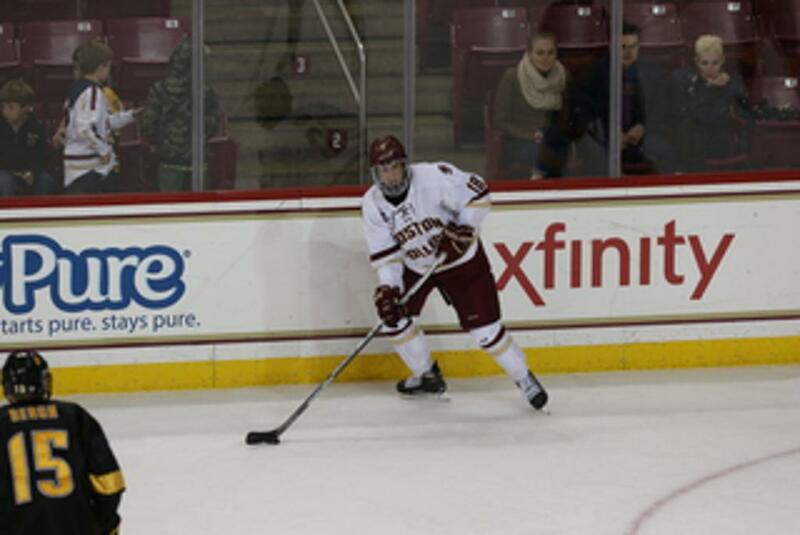 Vote Colin White (Boston College) for the Hobey Baker award. Colin White just helped lead USA to a championship at the World Juniors in December as well. He scored seven goals in seven games and had eight points. The Ottawa Senators selected Colin White as the 21st overall in the 2015 NHL Entry Draft the fourth in selections after Thomas Chabot. The Patrice Bergeron comparable was rated the 39th best prospect in the Hockey News top 100 prospects under 21 issue.